This is a tentative idea only, to be confirmed by mid-December. Day trips before or after a conference offer a unique way to form lasting relationships with fellow translators from around the globe. All the places on this route are roughly due East from Budapest, with Tokaj being the farthest away. Departure at 8:30 on May 2 (Tuesday) from the conference hotel. First we drive about an hour to Hollókő, a quaint village that made it to Unesco World Heritage status 3 decades ago. Well, quaint it is not at peak times, especially Easter, but if we visit on a regular Tuesday, chances are we’ll be the only tourists there. Estimated time spent in Hollókő: max. 1 hour. Another hour of bus ride brings us to Eger, a charming baroque town that has a unique place in every Hungarian’s heart, owing to a victorious battle back in 1552. We can have lunch here, a walk around the old town, perhaps visit the castle, then head to the ‘valley of beautiful women’ just outside town for lunch and wine tasting. Estimated time spent in Eger: 4 hours. On a winding forest road we reach our destination for the day, Lillafüred. 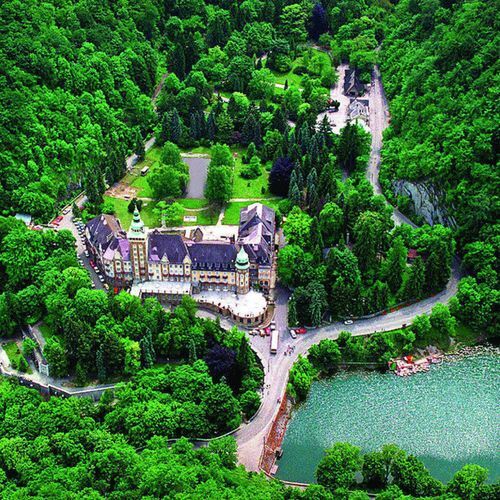 Here we’ll spend the night in what can easily be the most beautiful spot in Hungary, surrounded by hills, and overlooking a small lake. We start the following day by a walk in the hotel garden. 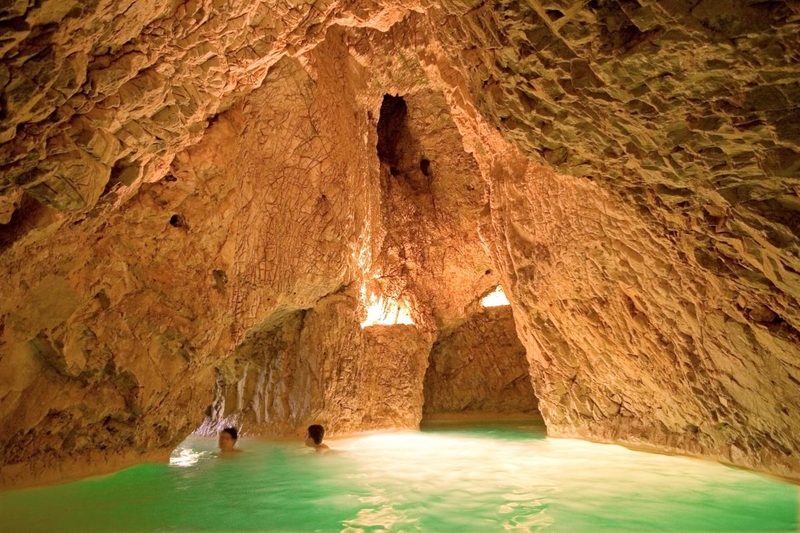 Later in the morning we can dip in the cave baths of Miskolctapolca. Lillafüred and Miskolctapolca are very close to each other, in the Western outskirts of Miskolc. Time spent at the cave baths: 2 hours. 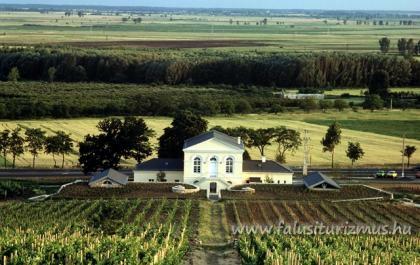 An hour or so later we can be in Tokaj, Hungary’s most famous wine region. Lunch and wine tasting in a wine cellar, a visit to a vineyard, maybe even a quick walk around town. Detox on the bus ride back to Budapest, about 2.5 hours. Arrival around 19:30 at the conference hotel (you can reach downtown Budapest easily with the metro). I understand this schedule may look intense – it is. Total driving distance is 600 km over 2 days, i.e. about 4 hours on the bus on each day. In exchange you’ll get to visit two World Heritage sites in Hungary (Hollókő, Tokaj), two wine regions (Eger, Tokaj), as well as get a glimpse at Hungary beyond Budapest. Price of the trip is 229€ (+ VAT if applicable). On the invoice this item will be shown as ‘BP17 Translation Conference – Module 2L’, keeping your accountant happy. 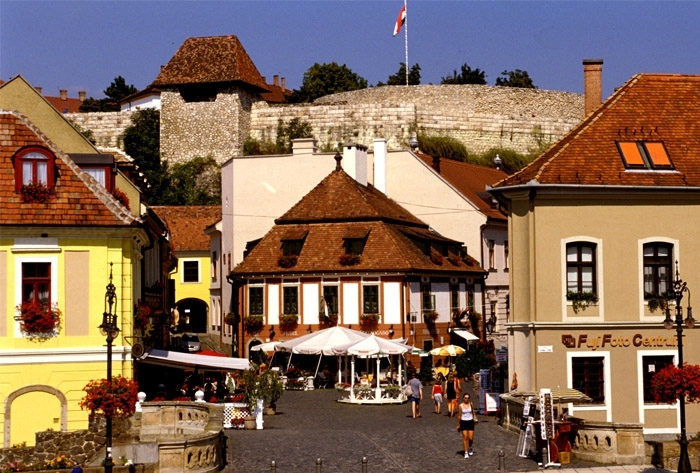 The price includes the following items: bus ride for two days, an English-speaking guide for the entire trip, entrance ticket to Eger castle and the Miskolctapolca cave baths, lunch and wine tasting in Eger and Tokaj, as well as a night’s accommodation in a single room in Lillafüred, including dinner, breakfast, and access to wellness facilities. You’re eligible to a 20€ discount per person if staying in a double room. To get this, use the ‘double20’ coupon code at checkout (this may be combined with other codes). The trip seems really popular: about 10% of all conference attendees will be there (that’s around 14 people at the moment). To secure your place on the trip, simply add the item in the conference web shop, then proceed to checkout.